Anssi Vanjoki -- Nokia's Executive VP & General Manager of Multimedia -- said, "If there is something good in the world then we copy with pride." Well, ok then. See what we mean after the break. Allowing title tags to be auto-generated (from the post title, category name, etc.). Every category page and most permalink pages (i.e. post pages) should be hand-crafted. Don't just let the blog software reuse the post title or category name with your blog's name tacked on in the front. Why? Because an ideal post title is seldom an ideal title tag. Optimizing your post title or category name by working in synonyms, multiple verb tenses, etc. into it can ruin its punchiness and thus its reader impact. For example, "Marketing on MySpace" makes for a great post title but "Social Media Marketing on MySpace, the King of Social Network Sites" makes for a title tag with broader keyword appeal. If you don't have the time or resources and wish to continue with auto-generated title tags, you should at an absolute minimum hand code the title tag on the home page, and then on the rest of the blog place the blog name at the end of the title tag rather than at the beginning (or remove it altogether). This will give you more uniquely focused title tags. Letting pages get indexed that should never be indexed. Some pages shouldn't be allowed into the search indices because they are either basically content-less (like the "Email this page" form or "Enlarged photo" pages) or because they are substantively similar to other pages (like the "Printer-friendly" pages). Peruse your indexed pages in Google using the site: query operator and look for which pages don't deserve to be there. Then disallow them in your robots.txt file. Having multiple homes for your blog. Does your blog have what search engine geeks refer to as "canonicalization" issues? If you can get to a page by multiple URLs, then the answer is "Yes." 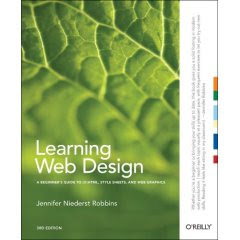 For example, ries.typepad.com and www.originofbrands.com and originofbrands.com all lead to the same page. Not using "optional excerpts" to minimize duplicate content. This may be known by other names in other blog platforms, but in WordPress the optional excerpt on the Write Post form is where you can define alternate copy to display everywhere but on the permalink page. That will make the content of the post unique to the permalink page, reducing the potential that you'll lose rankings for duplicate content because the post would otherwise be included in its entirety on numerous pages, including archives-by-date pages and category pages. Not using rel=nofollow to strategically direct the flow of link gain. Some internal links aren't very helpful because they have suboptimal anchor text (e.g. "Permalink" and "Comments"). Some external links just leak link gain to nobody's benefit, such as "Digg this" links. Over-reliance on date-based archives. Most blogs organize their archives by month rather than by keyword. That's a shame because the anchor text of links is so important to SEO, yet these date-based archives tend to have terrible number-based anchor text. Organizing your blog into categories is a step in the right direction, but implementing tagging and tag clouds across your blog is a much more search engine optimal approach. Then you can ditch your date-based hierarchy, or at least rel=nofollow all those date-based archive links. No stability in keyword focus on category pages. When categories have been selected - at least in part - because of keyword research, then your category pages can be of great SEO benefit. But in order to really give those category pages the best chance at competing for their targeted keywords, the pages need stability in their keyword focus. However, in most cases the keyword focus jumps all over the place as new posts make it into that category page and old posts fall off. Using "sticky" posts which stay at the top of category page regardless of the age of that post will give you the opportunity to incorporate keyword-rich introductory copy into the pages. For example, the sticky post on the Politics category page at businessblogconsulting.com sets the stage with a keyword-rich, relevant and useful introduction to the posts within that category. Suboptimal URLs. The most optimal URLs contain relevant, popular keywords and a minimal number of slashes, without any question marks. If using WordPress, be sure to change your "Permalink Options" to use rewritten URLs rather than the default of post IDs. If using TypePad or Movable Type, change from using the default of underscores to hyphens instead, as hyphens are preferred from Google's standpoint. TypePad and Movable Type also tend to truncate URLs mid-keyword. Consider for example the post on the TypePad platform titled "Hotels, Hospitality and Social Media" which converted to a URL of http://bloombergmarketing.blogs.com/bloomberg_marketing/2007/08/hotels-hospital.html. Note how the URL was truncated and the works "hospitality" and "social media" were lost. If using WordPress, make use of the "post slug," to custom write the filename of the post's URL and eliminate throwaway words from the URL such as "the" that appear in the post title but add no value in the URL. Only one RSS feed, and it's not even optimized. Each category on your blog should have its own category, so that people who are mostly interested in just one topic can subscribe to - and hopefully syndicate - the category-specific feed. Same thing applies if you have tag pages hosted on your blog. Tag-specific feeds are great for users and for SEO. Optimized RSS feeds are ones that are "full text" not summary feeds, have more than just ten items (e.g. 20 or 50), have keyword-rich item titles, incorporate your brand name in the item titles, include important keywords in the site title, and have a compelling site description. Offering suboptimal podcasts. If you are publishing podcasts on your blog, be sure to optimize the ID3 tag, include show notes with each podcast, create show transcripts (hint: CastingWords offers inexpensive podcast transcription), and ensure you have a presence in podcast directories like iTunes. Putting your blog's URL or your RSS feed's URL on a domain you don't own. Does your blog's URL contain blogspot.com, typepad.com, wordpress.com, etc.? If so, please repeat after me in a Homer Simpson voice: "Doh!". This is a disaster waiting to happen. What happens if you want to move to another blog platform or service provider? You won't be able to 301 redirect. The best you can do is put up a "We've moved" post then abandon the blog. Like what my daughter had to do with her Neopets blog when she moved it from neopetcheats.wordpress.com to neopetsfanatic.com. Another mistake is using Feedburner without using their MyBrand service - which means that all your RSS subscribers are subscribing to a URL you don't control. You'd be in a pickle if you ever wanted to change from Feedburner to another service. After Google acquired Feedburner, they made the MyBrand service free. So there's no excuse for not using it. I use MyBrand with my blog, so my feed URL is http://feeds.stephanspencer.com/scatterings instead of http://feeds.feedburner.com/scatterings. Using suboptimal anchor text when linking internally. It's not uncommon for bloggers to use "here" or "previously" or similar suboptimal phrases as anchor text within post copy. Resist the temptation and use relevant keywords instead. Stephan Spencer is founder and president of Netconcepts, a 12-year-old web agency specializing in search engine optimized ecommerce. He writes for several publications and blogs at the Natural Search Blog. The 100% Organic column appears Thursdays at Search Engine Land. A website must be simple in navigation and structure, pleasant, functional and, most of all, fast. By following this article you will realize that a fast website will increase the user experience very much and this brings you returning visitors and, why not, happy visitors. You will also learn how to optimize your website for speed with almost no cost at all. There are almost 50 tricks to read, understand, analyze and implement into your website. Tricks that are designed to make your pages load faster under the same server, with the same investment in most cases. If you’re looking for a search engine that requires a plug-in, disables your back button, won’t allow you to right-click URLs to copy them, needs pop-ups enabled, and doesn’t let you use your mouse wheel to scroll, look no further than Tafiti. OK, on a more serious note, Tafiti.com is a new search experiment by Microsoft based on the Silverlight plug-in. Silverlight is a programming environment that allows web authors to do much more than regular DHTML can. It’s actually pretty tempting-looking from a developer perspective (Microsoft knows how to deliver cool programming environments), but it’s currently suffering from lack of deployment. And Tafiti – which means “do research” in Swahili, as Search Engine Land reports – is possibly more of a use-case for Silverlight than a real search engine. 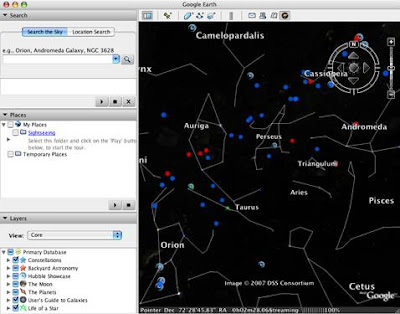 For instance, one Tafiti feature shows search results as a colorful rotating tree. A slider at the bottom of the page allows you to reduce the number of branches and leaves. You can even toggle the rotation direction using arrow buttons. I guess it’s the kind of thing that looks good when demo’d but gets annoying when you’re actually in a hurry looking for a website (a tree would only start to be useful when you’d be able to expand branches in meaningful ways, though you’d need a better interface to easily do that). As is often the case with advanced HTML, Flash, or other plug-ins, all that glitter comes at the price of accessibility (and sometimes, speed). Also, Tafiti is quirky: after some clicking around, I wasn’t able to bring up any search results anymore, for any term, even after restarting the browser. At other times, the page stalled, with Internet Explorer 7 alerting errors. The page is in Beta, fair enough, but there was a time when Beta meant that the programmers and testers actually tried hard and weren’t able to find any more bugs to squash... everything else was titled Alpha. The site’s a bit of a visual overkill, with a semi-photorealistic environment that’s trying a bit too hard without actually achieving a neat design. Live.com, Microsoft’s previous attempt at building a search engine improvement to MSN.com, was a little more tasteful. If Microsoft aims to let Silverlight be the Trojan horse in the battle against competitor Google (who’s bringing office apps online, one by one), I think they need to do better than this. Package and preview .air files directly within Adobe Flash CS3. The Adobe® Integrated Runtime (AIR) update for Flash® CS3 beta 1 software will allow you to package and preview .air application files directly within Adobe Flash CS3; leveraging your existing Flash development skills to build desktop-enabled distributed applications and experiences with the Adobe AIR™ framework. 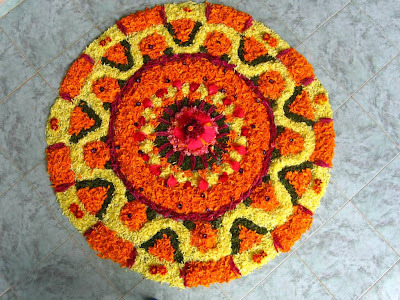 Onam (ഓണം), a harvest festival, is celebrated in Kerala, a state in India. It generally falls in the months of August-September. 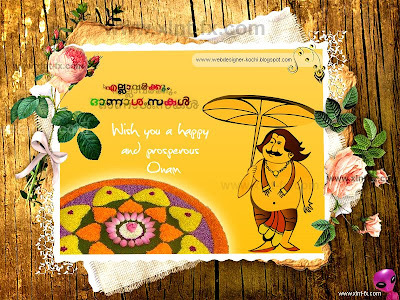 Onam is a celebration to mark the annual return of the spirit of the mythical King Mahabali to his kingdom, and a commemoration of his benevolent rule and his sacrifice. The festivities are intended to assure the King that his people are happy and to wish him well. 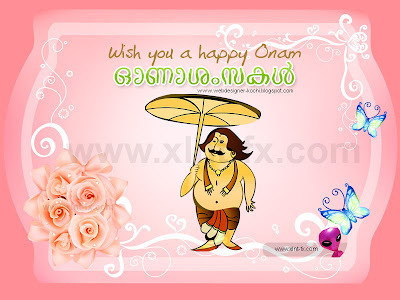 Onam carnival continues for ten days, starting from the day of Atham and culminating on Thiru Onam. 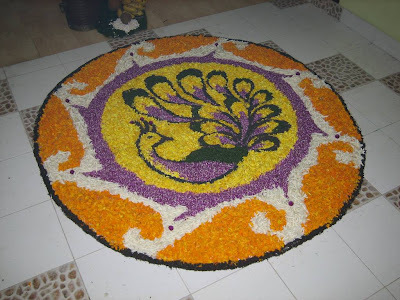 Atham and Thiru Onam are the most important days for Onam festivities. 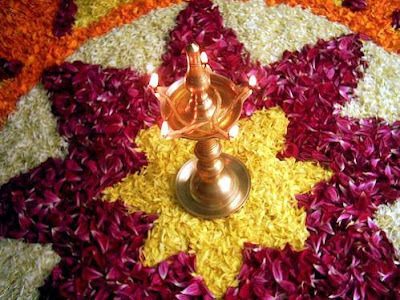 The day of Atham is decided by the position of stars. 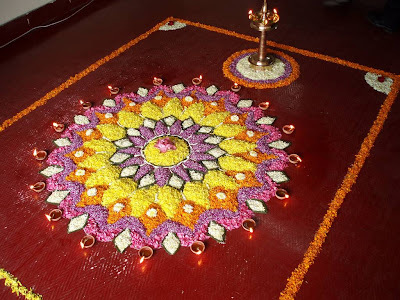 Onam festival commences from lunar asterism (a cluster of stars smaller than a constellation) Atham (Hastha) that appears ten days before asterism Onam or Thiru Onam. 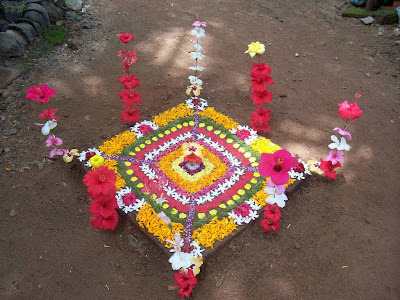 Atham is regarded as auspicious and holy day by people of Kerala. 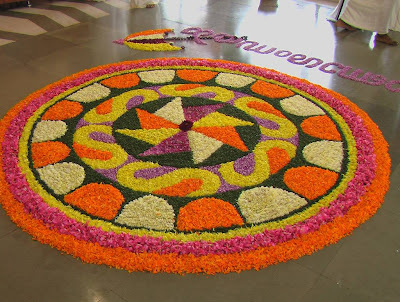 Thiru Onam corresponds to the Shravan day in the month of August or September, hence it is also called Sravanotsavam. 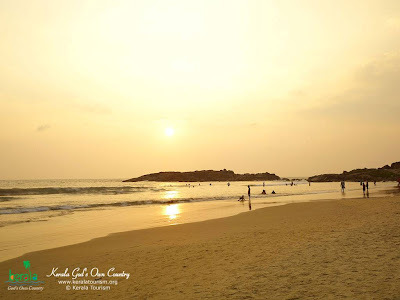 At this time sun is in the Zodiac sign of Leo (Simha rasi), which happens to be the sun's house as well. 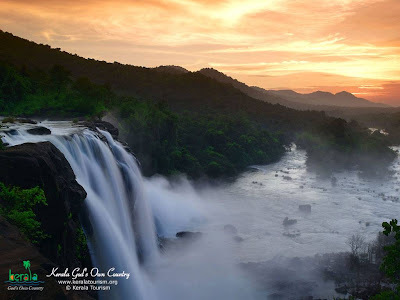 People believe that it is on the last day, Tiruonam that the spirit of King Maveli visits Kerala, hence the day is marked by feast and festivities. 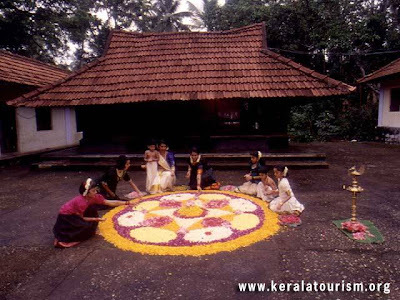 Devotees of Maveli celebrate the golden era witnessed in Maveli's reign during Onam. 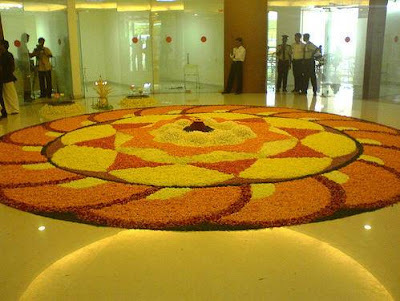 To welcome their revered ruler, people lay flower mats (Pookalam) in the front courtyard, prepare a grand meal (Onasadya), dance, play and make merry. 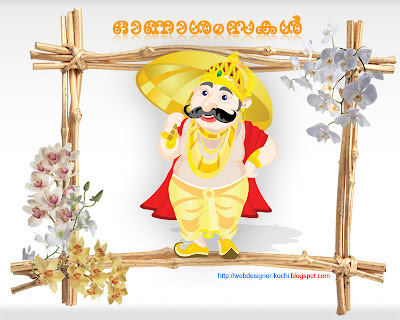 All this is done to impress upon King Mahabali that his people are prosperous and happy. 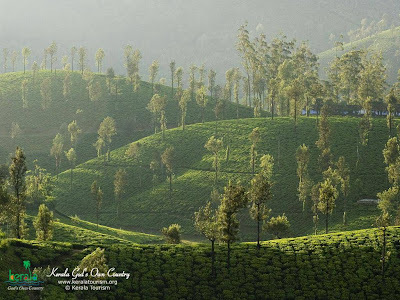 As it is a harvest season, the beautiful state of Kerala can be seen in its magnificent best. Weather is pleasantly sunny and warm calling for mirth and celebrations. Fields look brilliant as they glow with golden paddy grains. It is also the boom time of fruits and flowers. 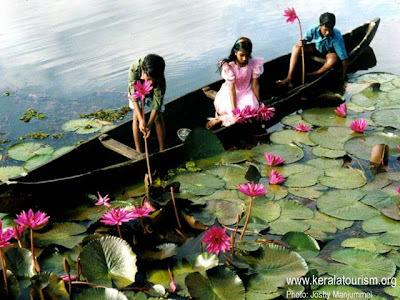 After the month of deprivation, Karkidakam (last month of Malayalam Calendar), farmers are happy with a bountiful harvest and celebrate the festival to the hilt. Very happy to hear the announcement from Google AdSense team about in-built support for Blogger templates to embed Ads between posts. Blogger widget now supports showing ads between the post with out any template coding or hacks. This is supported through new AdSense configuration in Blog Posts widget. Follow these steps to configure your Blogger Template to show ads between posts. As the embed ads between the post blend well with the content and increases click through rate, this support is welcomed by Bloggers. The new Flash Player will be available later today as a beta at Adobe Labs - and the final release is slated to be available in the fall (September - November). The last big update to Flash Player was the launch of Flash 9 in June 2006. 1) The H.264 support means superior video quality; it is also an open standard. 2) High Efficiency Advanced Audio is, says Mark Randall, a "successor to MP3". He said it is a higher quality audio, but at a lower bit rate. 3) It means "hardware acceleration" for Web video. Randall also said that this represents a tipping point for the H.264 standard, because now Flash Player is supporting it as well Blu-Ray - two big industry players. As well as the consumer benefits, this also gives online video companies a platform to deliver richer Flash experiences on the desktop, Web and H.264 ready consumer devices. As well as the new Flash Player, H.264 playback will be supported by the Adobe Integrated Runtime (AIR - a platform to create rich Internet applications to the desktop) and applications developed with Adobe AIR software, including Adobe Media Player in late April. How to Become a Photoshop "Black Belt"-Fast! Just released by Mark Monciardini, Photoshop® Top Secret™ is an Extreme Training Course that teaches you, step by step, how to create cutting-edge graphics and special effects with Adobe® Photoshop®. This student-friendly home study course includes four DVD-ROMs with over 16 gigabytes of video tutorials and project files. It also comes with a full-color gallery book (printed, not pdf) that shows the end result of each project in the course. You can look, learn, practice, and master these advanced techniques wherever you may be, without the need for expensive classes or tutors. Excellent images are essential for web sites and can lift an ordinary web site to a professional level. The average surfer responds better to websites that use good quality images, tending to linger longer and browse more pages than when faced with dense, text-heavy pages. There are many reasonable priced picture libraries online where one can source everything from flower pictures to computer equipment images. 1. Make sure all your images are correctly optimized: i.e. a relatively large image of 600x475 pixels should be between 20KB and 50KB in size(maximum). If you use a lot of thumbnail images on one page (125x125 pixel) then they should be between 5KB and 10KB in size. By sticking to these simple size guides you will ensure that your page loads quickly. Do check every single image that you put up. I have seen images on websites that are 2MB in size, leaving the web site owner scratching his head and wondering why the page takes so long to load. Casual surfers will have long since departed to faster loading sites. 2. Naming your images appropriately will substantially help by making it easier for Google to find the images on your web site (Google has recently changed its algorithm to take into account images and other media more than ever before) improving your overall search engine optimization. Try to name each image using keywords that link to the subject of the page that the image is on. If the subject of your page is red flowers, then find an image of a red flower and name it http://red-flower.jpg. Hyphenate the image names or use underscore between the words. The search engine spiders will see this image name as separate words if you do this. Don't be tempted to abbreviate your image names, thus rendering them unrecognizable for SEO purposes e.g. http://rdflwr.jpg. You may end up with rather long image names by using the full keyword names but you will maximise the SEO benefits of your chosen key phrases for each page. Lastly vary the image names that you use, when you have multiple images on one page, even by one letter to make it a plural e.g. 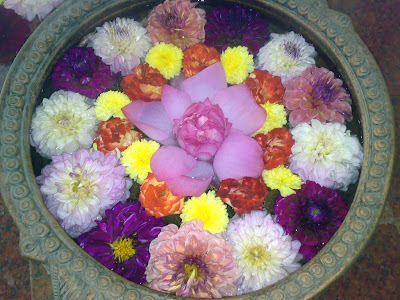 http://red-flowers.jpg or http://flowers-red.jpg so that the search engines don't penalise you for keyword loading. 3. Make sure you add alt tags to every image, which are also taken into account by the search engine spiders, once again using appropriately varied keyword phrases that link to the subject of the page. Preezo launched last week, bringing another new player to the online presentations scene. Meanwhile, Google Presentations is set to launch by the end of August - possibly as early as this week. With so many services in this market, we’ve rounded up more than 30 tools to create, host and share online presentations. Adiós, Powerpoint! Ajax13.com - AjaxPresents is an online presentation editor that enables you to edit Microsoft PowerPoint files (.ppt) as well as Open source presentation files (.odp). It requires Ajax13 and does not require installation of any software on computer. authorSTREAM.com - Users can present and share their PowerPoint presentations with others. BrinkPad.com - BrinkPad enables users to create presentations with text and images. Be it slideshows, presentations or even drawing, you can do anything with this tool. Demofuse.com - Users can create interactive website tours in minutes with Demofuse. 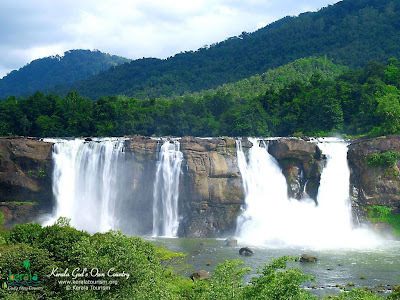 The tour includes cursor movements and other activities related with a website visit. Dimdim - Display your presentations to anyone remotely with Dimdim, a challenger to Webex. Formatpixel.com - Create online applications like magazines, brochures and portfolios and customize them by adding text, images etc. FlyInside.com - Instantly create, preview, edit, and publish your tours to the web from anywhere there’s a web connection. Empressr.com - Share your interactive media presentations with your client and access them remotely from any computer. Honeypitch.com – Combine your business proposal and presentation by inviting selected users to your website. Negotiate your contracts with them online. mPOWER - Import an existing presentation or create a new presentation from scratch. Share your presentation with users worldwide or publish it to the web. Preezo.com - Use the fast Ajax user interface to create professional presentations online. PresentationEngine.com - Create professional looking multimedia presentations by combining your text and media. PreZentit.com - Display your online presentations to other users. ProfCast.com - Record PowerPoint presentations, mix them with audio and publish them as a podcasts online. PPTExchange.com - A marketplace for PowerPoint presentations enabling user to store and share presentations. Scribd.com - Online library where users can publish their documents and search for other documents using a Flash viewer. Scooch - Create amazing slideshows of your images. SlideAware.com - SlideAware is a presentation management platform designed to help you & your team manage the entire life cycle of PowerPoint presentations. SlideBurner.com - Upload your presentations, share them with others and browse presentations. Slidelive.com - Share your PowerPoint presentations instantly. SlideShare - Upload your presentations, find other presentations and embed them in your blog or website. SlideRocket.com - Web-based application to create presentations, manage presentation directories and share them with other users online. Spresent.com - Web-based presentation alternative to PowerPoint. Publish, edit and share Flash-based presentations online. Teamslide - Create and give online presentations for a global audience through your browser. ThinkFree - A web-based office suite that enables users to create, edit and share their PowerPoint presentations online. Thumbstacks.com - Make your presentations from a browser, then share them with other users by simply sending them a link to your presentation. TonicPoint Builder - Read, edit and create PowerPoint presentations right from your browser. Does not require any plugins. Viewbook.com - Aimed towards professional users like photographers, designers and artists. Registered users can create intuitive online presentations, photo albums and portfolios. Toufee - Very easy way to create and publish online flash presentations and movies. Zentation.com - Synchronize videos and PowerPoint files to create professional presentations. Zoho Show - Create your presentations from your browser, share them over the web and export them offline. Part of the Zoho office suite. Tadeusz Szewczyk is a freelance search engine optimizer, blogger at the SEO 2.0 blog and journalist. Born in Poland, he’s living in Germany for two decades now. White hat SEO We only cheat Google where we have to, others do it too, come on! Alexa optimization All our employess have the Alexa Toolbar installed, it really works! If you have SEO terms that you do not understand feel free to ask me in the comments! Allmydata.com - Unlimited storage and automated backup for $4.99 a month. Angelbackup.com - Prices as low as $1.95 for 2GB of automated backup. BlogBackupOnline.com - Automatically backs up your blog for you with up to 50MB of storage. Carbonite.com - Backup your entire hard drive automatically, no free version. CrashPlan.com - Automated backup plans as low as a one-time $20 fee, unlimited space. Datapreserve.com - Automated, managed off-site remote backups, focusing on businesses. Egnyte.com - Backup your files, store them securely, export them back to your computer in a crash. Share with co-workers for collaborative work. ElephantDrive.com - 1GB of free storage, automated backups; up to 1TB in subscription form. File123.com - 1GB of space for free, up to 10GB of backup for as low as $4.95 a month. gDisk - Turn your Gmail account in to an online storage space for free. GoDaddy.com - All paid plans, as low as $5.99 a year for 50MB, sync between multiple computers. IBackup - Anywhere from 5GB to 300GB of storage, no free services. iOmega iStorage - Automated backups for personal or business users, file sharing available. Ironmountain.com - Focusing on professional backup solutions from small business up to government agencies. MediaMaster.com - Unlimited storage of your music collection. Mozy.com - Automated online backup of your selected files with versioning. Mp3Tunes.com - Unlimited free storage of your music collection, streaming play of the songs from anywhere. MyOtherDrive.com - Store up to 5GB of files, use as backup or share. Omnidrive.com - Backup anywhere from 1GB for free, use as backup you can access from anywhere, or use as a file host to use on other sites. Orbitfiles.com - 6GB of storage for your files, automated backup, ability to share with family and friends. SOSOnlineBackup.com - Automated backup of your essential files. Steekr.com - Online backup of digital media, free up to 1GB, subscriptions for more. Stream your stored music for listening anywhere, share files with friends. Strongspace.com - Minimum of a 5GB subscription package, files are shareable with other registered users. Textive.com - Backup your documents for free. Choose to publish some or all of your files, get paid for them. Titanize.com - Online backup that allows you to snyc with other devices and share links to your files. Trueshare.com - Secure off-site data backup, packages as small as 3GB up to 1TB. Yuntaa.com - Sync your hard drive with your online storage, restore, or share. Free up to 1GB. 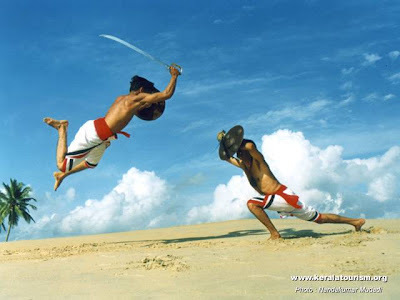 Arunalabs.com - Send large files to anyone on the net. Bigfilez.com - Send a file up to 500MB in size to multiple recipients. Bigupload.com - Send files up to 500MB in size, up to 2GB for premium members. BoxCloud.com - Up to 1GB of free sending, more space with paid plans. Driveway.com - Send an unlimited number of files up to 500MB each in size. DropSend.com - Email files up to 250MB in size, subscriptions get you larger files and more storage. FileFactory.com - Send up to 25 files at a time at 300MB per file. JustUpIt.com - Send a file up to 120MB to up to four email addresses. Jagbox.com - Upload a file up to 100MB in size, share the link, set an expiration time. LeapFILE.com - Send files of various sizes, 7 day trial, subscription thereafter. Localhostr.com - Upload a file up to 50MB in size, share it with friends. MailBigFile.com - Send up to a 100MB file to one recipient, up to 2GB to 5 recipients if you subscribe. MoveDigital.com - Store and deliver large files easily with a drag-and-drop interface. Pandafile.com - Send a file, no limitations mentioned. Send6.com - Send up to six large files at once for free, private branding available. Sendspace.com - Send files up to 300MB in size, unlimited downloads. SendThisFile.com - Subscription only, size and bandwidth vary with plan. Sharebee.com - Upload a file, share the link, no mention of limitations on size. YouSendIt.com - Email files up to 100MB in size for free, bigger limits by subscription. YouSwap.com - Upload and send up to 1GB of files to multiple email addresses. 4shared.com - Share a file or an entire folder for free, up to 1GB. More space available for annual subscription plans.Badongo.com - Unlimited file storage, inactive files files deleted after 45 days for free members, never for premium members. BigFilebox.com - Free storage up to 100MB, more space available for a fee. BooMP3.com - Free unlimited storage of audio files. Box.net - Up to 1GB of storage of files up to 10MB size each, more space for monthly or annual fee. BOXSTr.com - 10GB of storage of files up to 250MB in size each, 10GB of bandwidth. DivShare - Upload a file, store it forever, embed it anywhere you want. Premium service allows you to brand your embeds. Ewedrive.com - Store up to 1GB for free, more available at a fee. Exaroom.com - Upload files, make a profile, let friends browse and download your files, access your files from anywhere. FileDEN.com - 1GB of storage, files up to 50MB each, hotlinking allowed of all file extensions. FileHo.com - Unlimited storage, you can choose to share your files or keep them private. FileNanny.com - Store up to 500MB of files and share them with anyone. FilePanda.com - Upload files up to 200MB in size, share them with others. Flypicture.com - Unlimited hosting of pictures, audio or movie files, free use for blogs and auctions. Freefilehosting.net - Free hosting of files up to 3MB in size, use anywhere. GigaSize.com - Store up to 1.5GB, share files for up to 90 days. I2drive.com - Plans as low as $4.99 for 500MB of storage. In.solit.us - Upload your files, keep them private or opt to make them public so anyone can download them. Jumbodir.com - Upload without even registering, up to 2GB of space and no time limits if you do register. Mediafire.com - Upload up to 10 files of up to 100MB each at a time, unlimited storage, link and share if you like. MediaMax.com - Up to 25GB of free storage, 10MB per file, more space and size limits available by subscription. Megaupload.com - Up to 50GB of free storage and sharing capabilities for free. Mofile.com - Up to 1GB of sharing storage. MyDataBus.com - Upload up to 5GB of files for free and share, can integrate with Facebook. MyFabrik.com - 1GB of media storage you can share and embed. OneDump.com - Free hosting and sharing of up to 10 files of 5MB each. QuickSharing.com - Up to 500MB per file, deleted after 30 days of inactivity. RapidSahre.com - Share an unlimited number of files up to 100MB in size, an unlimited number of times. Supload.com - Unlimited image hosting for use with sites such as eBay and MySpace. TagAndFile.com - Store up to 100MB for free, more space available for a fee. Tilefile.com - Upload and organize your files, share them with friends. Upfordown.com - 20GB of storage with 50GB of bandwidth the first month for free. Webcargo.net - Mail files up to 100MB for free, stay online for up to 7 days. More paid options. WOOfiles.com - Up to 1GB of storage, share with friends. Xdrive.com - Up to 5GB of storage, access from anywhere, share with friends and family. zUpload.com - Share files up to 500MB in size, unlimited downloads. Submit your web application to Read/WriteWeb. Add a bookmark option to your website/blogs. Write an article related to your site and submit it to article sites. Send press releases using PRWeb.com. Exchange widgets with other similar web applications in order to promote each other. Publicize your site on related forums. A forum or chatrooms will give your users a reason to come back to your site. Add a link to your site in the signature of every forums you post on. Find a quality blog and leave there a comment with a link back to your site. Add photos to your blog with appropriate keywords. Propose something for free. People like this. Add a “Tell a Friend” function to your site, in this way you can be recommend easily to other people. Sign up with an affiliate programme to sell your product. Create a promotional video and upload it to YouTube and Google Video then encourage people to share it. Be attentive to the spelling mistakes. Offer as many ways as possible to contact you: MSN, Skype, Yahoo, emails, phone and a real address. Put downloadable content on your site. Response to your customer’s emails promptly. Ask bloggers or other competent peoples to review your site or product. Share your banners on banner exchange sites. Buy enough hosting to have a fast site. Link to other sites, especially if they are relevant. Include a Feedburner button on your site and people will subscribe easily to your feed. Ask your friends to give you honest feedback on your site. Elude technologies like Active X and Java. Advertise your site on Craigslist. Write a rich descriptive title at the top of each of your pages. Users and search engines like this. 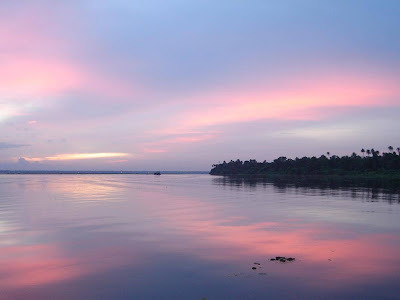 Submit photos and pictures to online photo albums like Flikr, Photobucket.com, YahooPhotos. Add a Bulletin to your MySpace account. Upload your product feed to Froogle. Search unanswered questions on Yahoo! Answers and add your site there. Translate your websites/blogs, especially in Chinese. Find domain names that get traffic, purchase them, and have them redirect to your website. Review some related products on epinion. 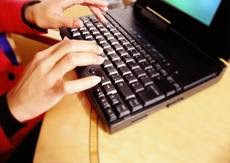 Encourage readers to comment on your blogs. Become friends with editors of an offline publication. 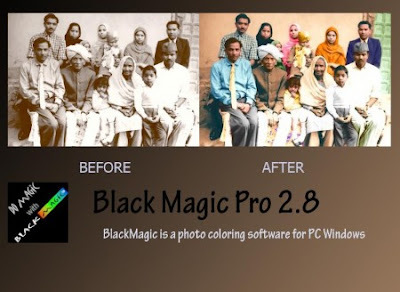 BlackMagic is a photo coloring software for PC Windows, released as shareware; it is used to colorize Black & White, BlackMagic virtual box-shot Sepia, or IR (infrared) photos, or to Color-correct ones with faded or inappropriate colors. Being extremely simple to use, its a software that transcends age and professional boundaries, providing an immense sense of achievement, pride and satisfaction for kids and adults alike. The resulting Colorized photos have optimally saturated and consistent, correct hues - giving the appearance as if the photo had originally been 'shot' in color! BlackMagic delivers such professional grade results with the minimum of fuss, and just a few minutes worth of effort. BlackMagic incorporates "TimeBrush™ RLC [RealLifeColour]™" standard. The TimeBrush RLC technology was specifically created for colorizing black & white motion pictures of the Hollywood fame. This feature provides BlackMagic the ability to render superb, rich, vibrant looking colors, that are not under/ over saturated, yet look completely natural. 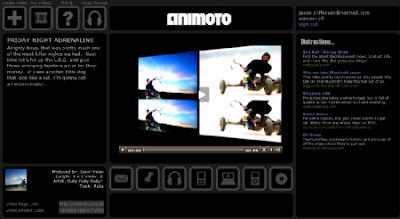 Animoto is a new mashup tool that lets you create a video from your images and music. The service won’t open its public beta for another couple weeks, but we got a little sneak peek at what Animoto is all about. The service overall could be likened to a slide show creator, but what animoto has done is incorporate a patent-pending artificial intelligence technology to offer something a bit more unique. Mimicking tools that are used by professional directors and editors, Animote will consider the images and music that you’ve submitted for the creation of a video mashup. The end result will be more like a movie trailer than a regular slideshow. Founded by former MTV, Comedy Central and ABC studio producers, the traditional media approach to consumer applications is how the music revolution changed in recent years, and reflects how the video industry has been following suit. The main drawbacks so far include the omission of videos for its mashup service, and the lack of other editing tools, for adding captions, etc. Others in this realm include Photobucket, Eyespot, which has recently launched a media platform for advertisers, and Fliptrack. Picasa - is a free software download from Google that helps you to locate and organise all the photos on your computer, edit and add effects to your photos with a few simple clicks, share your photos with others through email, prints and on the web. Paint.NET - is free image editing and photo manipulation software for computers that run Windows. It features an intuitive and innovative user interface with support for layers, unlimited undo, special effects, and a wide variety of useful and powerful tools. An active and growing online community provides friendly help, tutorials, and plugins. Magnifier - has the following features: no popup adverts or spyware, easy to use with any other program, resizable magnification area, adjustable zoom factor, overlay a grid. Easy Thumbnails - creates thumbnails and scaled copies of all your images. With Easy Thumbnails, you can find and process images individually, in groups, or in whole folders using a simple file selector and built-in image viewer.Thumbnails can be created in any existing folder or a new folder, and you can identify them clearly by adding a prefix or suffix to their names.FastStone Photo Resizer - is an image converter / resizer intended to enable users to convert, rename, resize, crop, rotate, change color depth, add text and watermarks to images in a quick and easy batch mode. ImageDiff - allows you to compare two images side by side, and see a difference mask showing you the exact pixels that have changed. Features include: Compare images of different formats, including JPG, GIF, BMP, and TIF, PNG. Compare images of different proportions and imageDiff will scale and calculate the difference automatically. IrfanView - is a fast and compact image viewer/converter. It is trying to be simple for beginners and powerful for professionals. Many supported file formats and features. Features include: multi-language support, Thumbnail option, slideshow, toolbar skins, fast directory browsing, batch conversion/editing, multipage editing, file search, change color depth, scanning, cut/crop, IPTC edit, capturing, lossless JPG operations, effects (sharpen, blur, Adobe Photoshop filters), EXE/SCR creating, many hotkeys, command line options and plugins. FastStone Image Viewer - is a fast, stable, user-friendly image browser, converter and editor. It includes a high quality magnifier and a musical slideshow with 150+ transitional effects, as well as lossless JPEG transitions, drop shadow effects, image annotation, scanner support, histogram and much more. It supports all major graphic formats including BMP, JPEG, JPEG 2000, GIF, PNG, PCX, TIFF, WMF, ICO and TGA. Inkscape - is an Open Source vector graphics editor, with capabilities similar to Illustrator, Freehand, CorelDraw, or Xara X using the W3C standard Scalable Vector Graphics (SVG) file format. Supported SVG features include shapes, paths, text, markers, clones, alpha blending, transforms, gradients, patterns, and grouping. Inkscape also supports Creative Commons meta-data, node editing, layers, complex path operations, bitmap tracing, text-on-path, flowed text, direct XML editing, and more. SmoothDraw NX - is a powerful freehand drawing tool. It?s a limited free version of SmoothDraw. It produces the most smooth and expressive stroke through your tablet. It also smoothes mouse input for who don?t have a tablet. ParticleDraw - is a novel windows drawing program powered by a state of the art general system simulation engine. The brushes are dynamic systems of particles with interesting behaviours, which you can completely customise. Each brush is intricately tuneable with many underlying physical parameters and one can construct arbitrary systems of particles and use these as brushes. 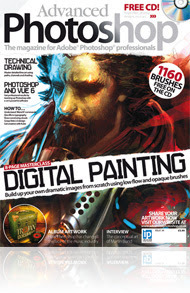 InsightPoint - creates sophisticated illustration and layout for Web and print. When it comes to spell out and share your ideas, in text and in graphics as well, InsightPoint is the fastest and easiest way to get you there. Built on top of XML technologies, comprehensive object-oriented vector design tools, trivial learning curve, and smooth drawing experience. Serif DrawPlus - is a powerful drawing and graphics software. You?ll be amazed how easy it is to create high quality graphics and animations without having to spend hours designing or pay for expensive training. Project Dogwaffle Free - is a paint and animation programa for the PC developed in VB by special fx artist, animator & novelist Dan Ritchie and made available for free downloading and use. AmitySource Userbar Generator is an easy-to-use program for generating unique and attractive userbars. With it you can create nice-looking userbar within five minutes and without any technical or artistical knowledge. It has everything you need for creating personal userbars: you can choose colors, special effect, pattern, a glow effect, an overlay image for your composition. AmitySource Userbar Generator allows to save the created userbar in different popular formats. Terragen - is a scenery generator, created with the goal of generating photorealistic landscape images and animations. It is available for Windows and the Mac OS. At this stage in its development, Terragen is free for personal, noncommercial use. uMark Lite - allows you to add a text or image watermark to your digital photos. You can choose from 9 pre-defined watermark placements, set a custom font, size, and color, as well as opacity level. The freeware version can batch process up to 50 images in a single run. The watermarked images are saved in a new folder, so your originals remain unchanged. 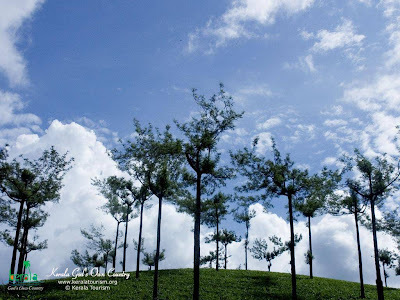 50 images at a go, adds uMark Lite watermark. TouchArt Sampler - is a great way to learn the art and skills of performing live visuals and VJing. TouchPlayer and 21 interactive 2D and 3D animations (synths) are included in this sampler. Touch lets you manipulate visuals in real-time, giving you control of various parameters like lighting, color, textures, motion, video playback, and composing. Play some audio and you can sync visuals to the BPM. Synfig Studio is a vector based 2D animation program. It is designed to be capable of producing feature-film quality animation. It eliminates the need for tweening, preventing the need to hand-draw each frame. Synfig Studio features spatial and temporal resolution independence, high dynamic range images, and a flexible plugin system. 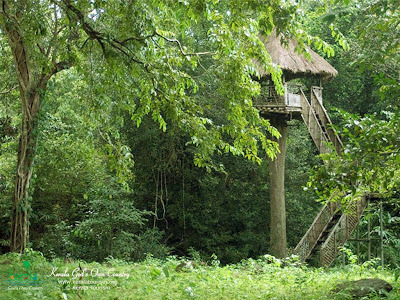 Bryce - is known for creating photo-realistic 3D landscapes and featuring a shallow learning curve for beginners. Start out building or importing a landscape as impressive as the Grand Canyon. Populate it with buildings, people or any other object you create or from the extensive DAZ 3D library. The Light Lab provides you robust control over your sunsets, moonlight nights or high-noon ambiance. Blender - is the open-source software for 3D modeling, animation, rendering, post-production, interactive creation and playback. It is available for all major operating systems under the GNU General Public License. Google SketchUp - is a free, easy-to-learn 3D-modeling program with a few simple tools to let you create 3D models of houses, sheds, decks, home additions, woodworking projects, and even space ships. You can add details, textures, and glass to your models, and design with dimensional accuracy. You can place your finished models in Google Earth, share them with others by posting them to the 3D Warehouse, or print hard copies. 3D Canvas - is a real-time 3D modeling and animation tool that incorporates an intuitive drag-and-drop approach to 3D modeling. Complex models can be constructed from simple 3D primitives, or created using 3D Canvas’ Object Building Tools. Modeling tools are provided to deform, sculpt, and paint 3D objects. 3D Box Shot Maker - is an easy and FREE tool to virtually design quality box shot as your software box cover. It is important to present a professional boxshot to attract your potential customers to take a closer look at your products. An impressive box shot will make your software outstanding, and easily defeat your competitors at the start. Sothink SWF Catcher for IE - is a free and useful extension to Internet Explorer that enables you to save multiple Flash based charts, presentations, e-cards, games and Flash movies in it at one time. The small size allows it embedding in IE by just adding a new button. With only few clicks you can store your favorite Flashes easily. Digital Image Tool - was created specifically to batch process images quickly, applying flexible resizing methods, rotation, cropping, scaling, watermarking, renaming and more. As a multimedia designer Digital Image Tool has come in very handy?..we made it originally for use in-house but decided to put a little more effort into the program and release it for free to the public. JR Screen Ruler - is an easy to use, small screen ruler that you can use to measure distances on your screen. It supports pixels, centimeters, picas and inches and can be adjusted in length to fit your screen. LS Screen Capture - captures your desktop in several handy ways. Capture the entire desktop screen, the entire desktop work area, capture using your mouse by creating a rectangle, capture an entire window, the entire window work area, capture any active window with key stroke (Ctrl + F2).